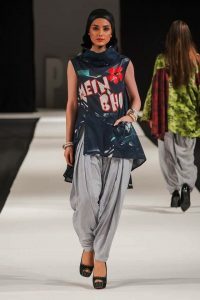 PFW 13 London Collection By Maheen Khan. The latest fashion brand of Maheen Khan, GULABO, is always a winner. Vibrant colors, unique cuts, and comfort are what she offers in her masterpieces. She simply presented her amazing collection at PFW London this time and got an enthusiastic response.